Fear has always played a prominent role in the life of Bruce Wayne. From the moment his beloved parents were gunned down in a dark, filthy alleyway of Gotham City, Bruce has been a haunted echo of the man he could have been. As the shell casings fell, so did any possibility of Bruce leading a normal life. Every horizon was darkened that fateful night, and in its place a world bent on justice, vengeance, and retribution. That was the beginning of the Batman. In time he would stalk the rooftops and alleyways of Gotham City, creating a shadow only whispered about for fear that it might hear. 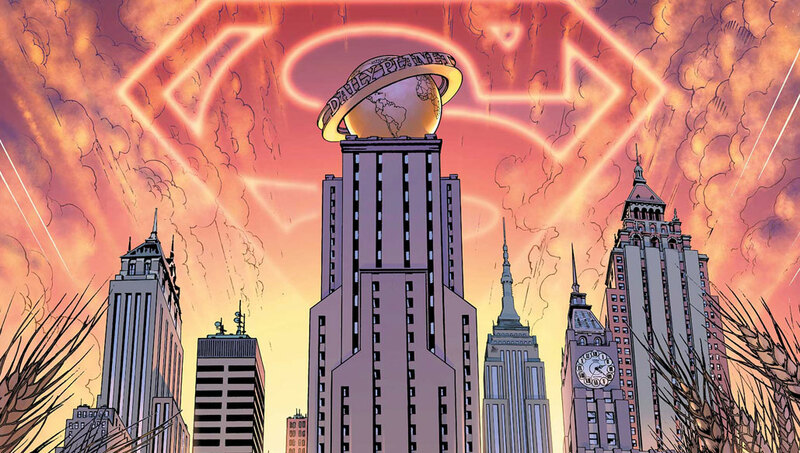 However, this is no Metropolis, and Bruce is no Superman. He is not a man of steel, or faster than a speeding bullet. He bleeds when he gets punched. And just like any other man, he is haunted by fear. 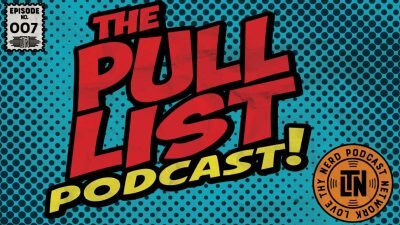 Not of the many monsters of the infamous Rogues gallery or the cosmic chaos brought on by the pits of Apokolips. No – Bruce’s worst fear is himself. The symbolism Snyder has weaved throughout his entire run in this universe is not focused on becoming the thing that is feared, but rather understanding and confronting the fear head on and without compromise. 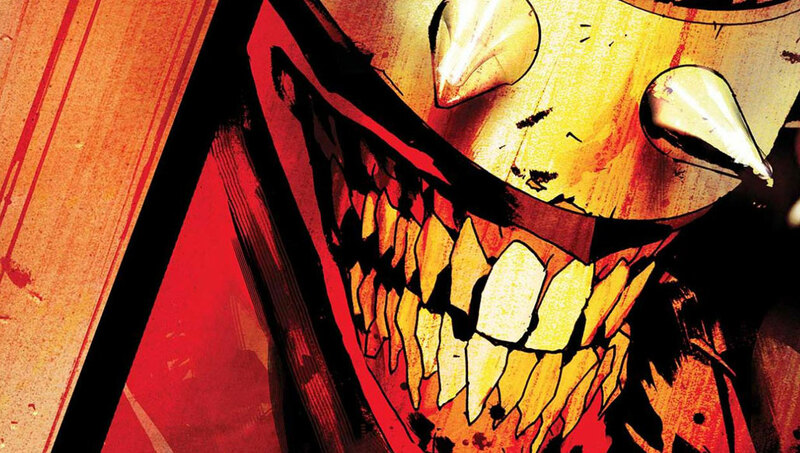 In 2018, writer Scott Snyder delivered one of the greatest crossovers in comic book history entitled, Dark Nights: Metal. In this series we were introduced to the Dark Knights, a pantheon of “Batmen” that came from the dark multiverse—a collection of nightmarish negative worlds where each version of Bruce Wayne, and therefore Batman, became an evil incarnation bent on destruction. 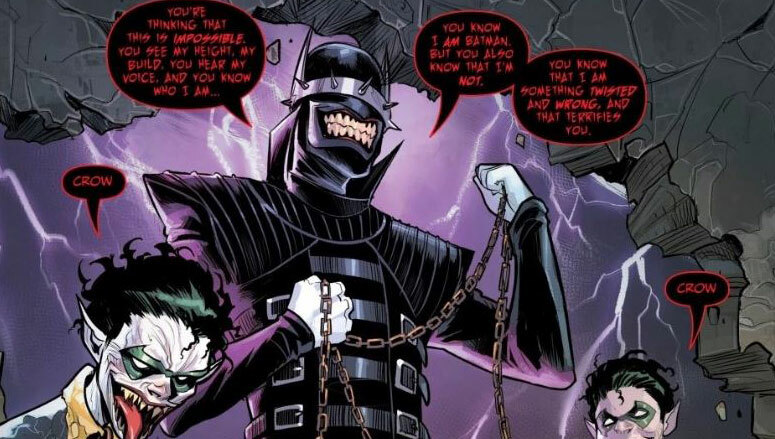 These evil versions of the Dark Knight took on many forms, but none was more evil and sadistic than The Batman Who Laughs. This particular version of the Dark Knight was an evil amalgamation of Batman and the Joker, created when the heroic Batman of Earth-22 was forced to kill the maniacal Joker, releasing a toxin from his corpse that would infect the mind of Batman, and turning him into the next iteration of the Joker. Unable to fight the effects of the gas, Batman transformed into the nightmare known as The Batman Who Laughs, killing the Bat family, the Justice League, and eventually destroying his world. When this Dark Knight breaks through the barrier to our world, the Batman of Earth Prime’s worst fear is realized: a Batman who has all of his memories, training and abilities but also the worst, most barbarous and brutal parts of the Joker. 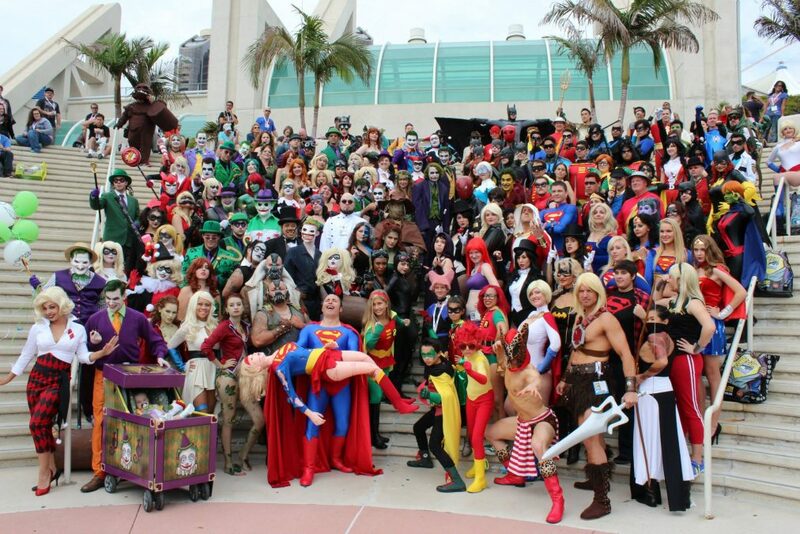 This is Batman’s nightmare. His deepest, darkest fear. And it’s the horror facing Bruce Wayne in Scott Snyder’s new mini series, The Batman Who Laughs. Bruce has always feared that something, or someone, would push him to a place where he would become the very things he detests. The Joker has long been the embodiment of everything Batman hates most. Yet he cannot destroy him because it would mean crossing a line from which he could never come back. He would be no better than the gallery of villains, murderers, and psychopaths that he has locked away behind the steel doors of Arkham Asylum. Now, standing before him, is a heinous wretch filled with vile corruption: himself—or, at least, what he fears he could become. It is his darkest fears personified. 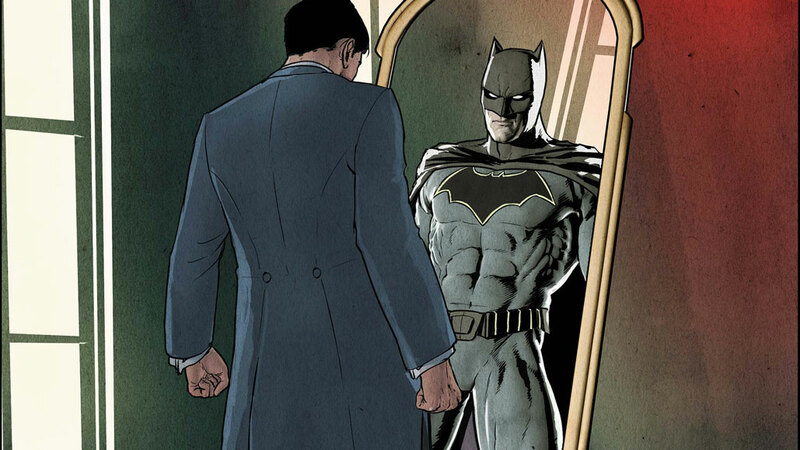 How can Bruce defeat a version of himself that has all the characteristics of his greatest enemy? The symbolism Snyder has weaved throughout his entire run in this universe is not focused on becoming the thing that is feared, but rather understanding and confronting the fear head-on and without compromise. The initial solution presented is Batman taking on some of the Joker’s toxin, giving him the mindset of the criminal clown prince of Gotham while at the same time pumping himself full of anti-venom that prevents a full transformation. But soon Bruce realizes that he cannot just scratch the surface of this persona, but rather must give into it fully. Removing the vials of anti-venom, Bruce allows the Joker Toxin to fully take over, rewiring his mind, and pumping through his veins like battery acid. He understands that in order to defeat this nightmare, he will have to become it and confront, hoping that he will be able to return. Not so dissimilar from the 1990s Star Wars comic series, Dark Empire, in which Luke Skywalker gives into the dark side in order to destroy it from within. Despite his rock-solid exterior, his resolute will, and his brooding demeanor, Bruce has always feared what he could become. He has always feared the abyss, even as he looks into it and refuses to blink. He has been to the brink and refused to back down. But deep inside he is still that terrified little boy. Standing in a dimly-lit alley, face tear-streaked, the bottoms of his shoes damp with his parents blood. 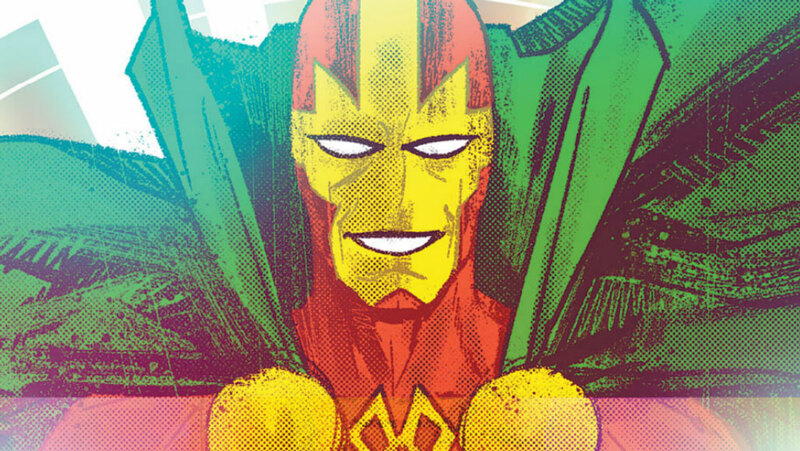 Growing up in the shadow of his parents’ murder, he desires to bring justice to his city and prevent anyone from ever having to experience what he has. But even Batman has to face down his fears. Batman, with all of his gadgets, armor, and intellect must eventually confront the darkness within. This is what makes the man under the cowl so relatable. We have all suffered trauma that forced us to act. Something that so fundamentally changed who we are that it is possible for our lives to change direction. With those changes, those moments of trauma, comes fear. That fear can grip us, causing us to stand there forever, or set in motion a path for our lives that can enable us to face our despair. When we look to Batman as a symbol, as something more than a man, we see the ability to rise up and face our fears and confront them without compromise. Even in the face of our darkest nightmares. Is Batman an Atheist? Does It Even Matter?